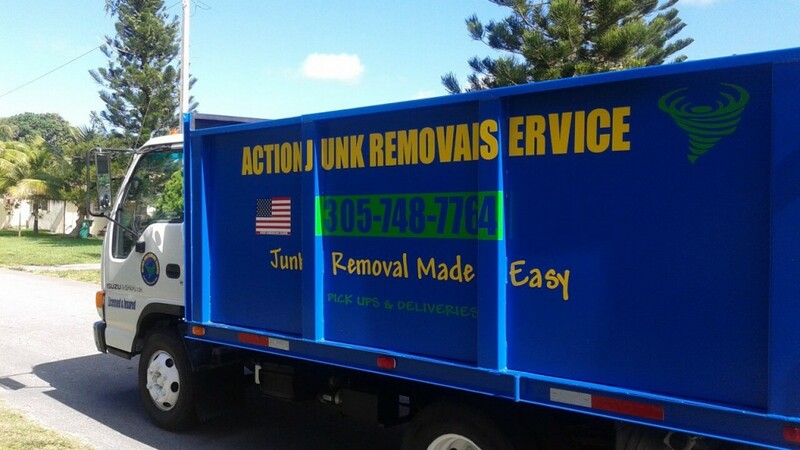 Action Junk Removal is a junk removal service for the Miami and Broward County area. We love what we do and are passionate about junk removal. We aspire to provide quality customer service to each person and business that calls us. Thankfully, our commitment and hard work has paid off. We have gained a great reputation for our friendly staff, timely services, low prices, and eco-friendly approach to trash removal. We pride ourselves in the work that we do. Not only are we passionate about customer satisfaction but we are passionate about the environment. Our trash disposal process includes a comprehensive examination for any recyclable materials. Unfortunately, most trash is disposed of improperly and the consequences can be severe for our environment. Action Junk Removal strives to help protect our Earth by disposing of trash appropriately and recycling whenever possible. Our goal is to keep America green. Action Junk Removal Service has been an amazing addition to my business. Very professional, fast and afordable. 5 stars for these guys highly recommend. Very Reliable! Very Quick! Highly recommended! !